Choose this Brandi Chain Link Necklace Set for effortless integration with your occasion dresses. 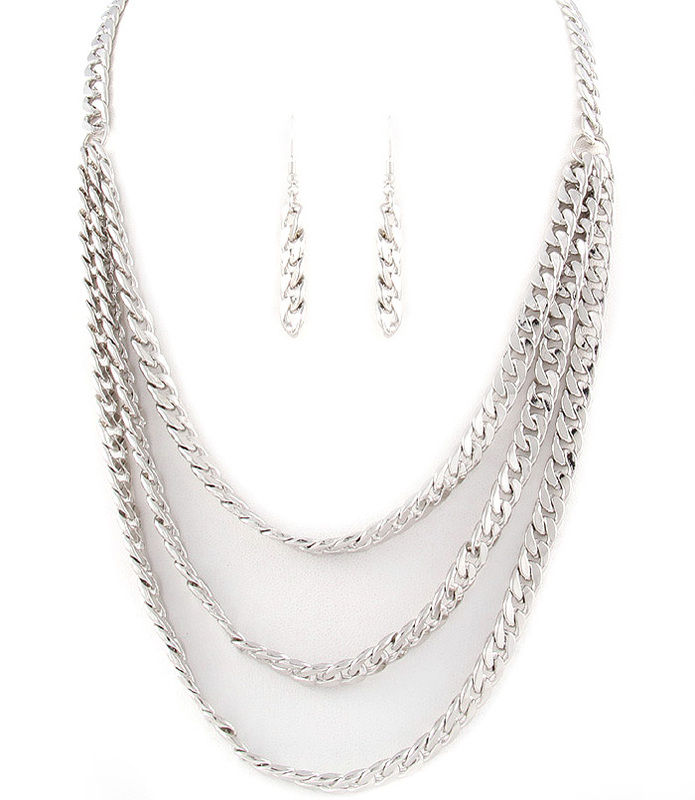 The necklace features silver-tone chain links in a multistrand design and the earrings have two long chains each. Add this fashionable statement necklace set to your new season's jewellery collection today.